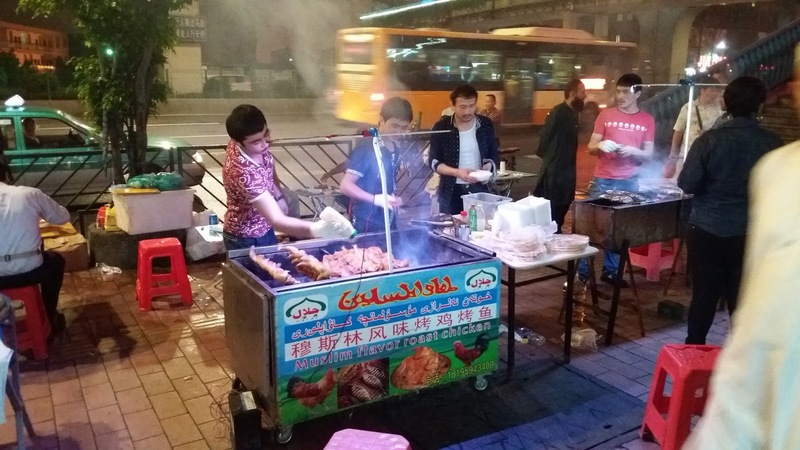 On my recent tour to china, I was able to experience Halal Street Food in guangzhou, china. The food was served by local chinese muslims and mainly consist of roasted / grilled chicken and fish which is served with bread and spicy salad. This is a must try halal street food dish in china, specially if you love grilled items. The fish, cost RMB 25 and was amazing, soft, juciy and just as i like it. The chicken was equally good and cost the same RMB 25. 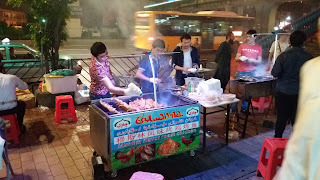 We tasted this street food near the main guanzhou railway station. The nearest metro station was Sunyanli metro station. Exit sunyanli metro station, take exit C and then walk towards the guanzhou metro station. The footpaths is lined with street vendors selling from clothings, glasses, hand bags, children garments, toys etc. The street specially comes to live at night as it is near to the main wholesale market and many people who are out on business during the day, explore the streets at night. The street it self is popular among pakistanis, indians and african national as it is near the main wholesale market. Please suggest budget hotels nearest(walking distance) to railway/metro/subway station(San Yuanli metro stn & GZ Railway stn) and the Chinese Halal street food. tong tong hotel and many other hotels are nearby. halal street food is available near this area. Please suggest budget hotels nearest Sanyuanli metro & GZ Railway stn and the Halal Chinese Street food. What is the name of the street?